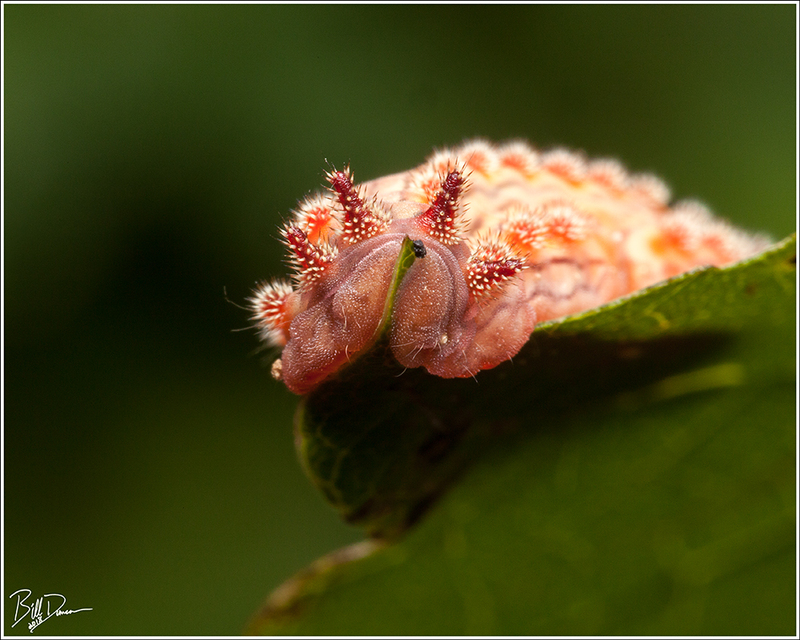 The WGNSS Nature Photography Group met on September 1, 2018 at Don Robinson State Park in Jefferson County, MO, with the goal of finding slug moth caterpillars and whatever other macro subjects of interest we could find. Overall, I think we had good fortune on this hot and muggy, late-summer day, finding quite a few interesting caterpillars. 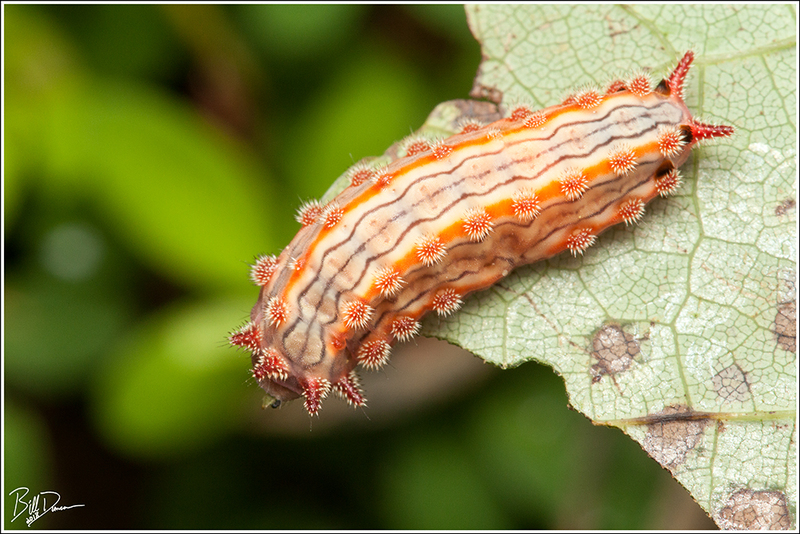 The slug moth caterpillars were a little scarce, but we did find a little something extra special – the pin-striped vermilion slug moth (Monoleuca semifascia) (Hodges # 4691). In four summers of looking for slug cats, this is the first one I have seen. 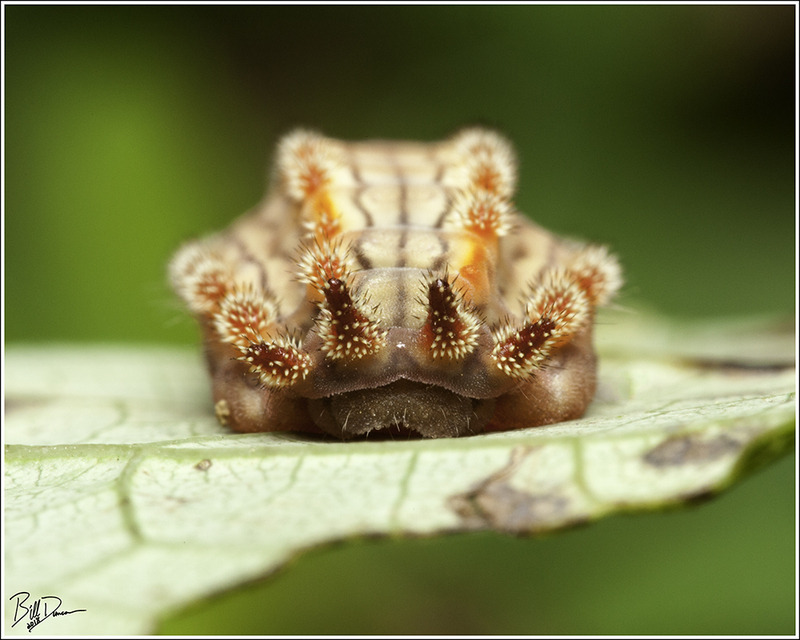 It is a southern species and I assumed it would need to be found in the south-western part of our state where the open barren woodlands and savanna type environments this species prefers are more common. 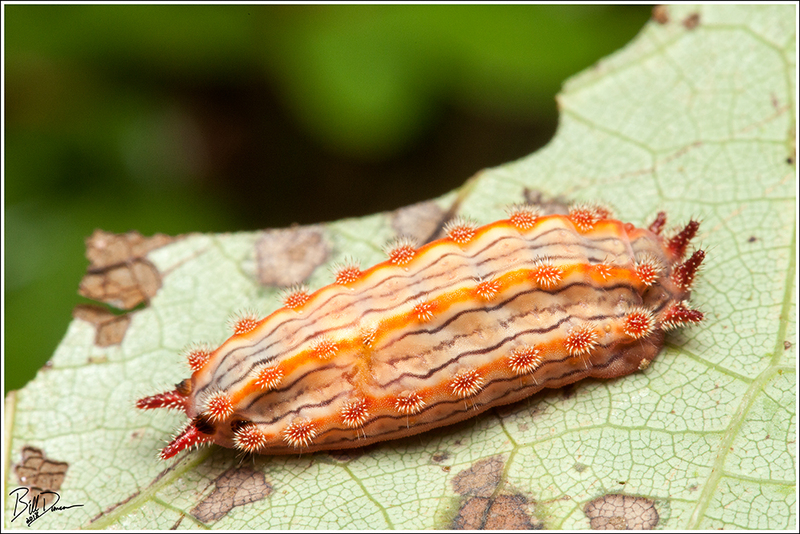 This is the 14th of 15 species of slug moth caterpillars that are found in Missouri that I have been able to see and photograph. One more to go! Slug cats can be found on virtually any species of woody plant in the state. Although oaks and hickories seem to be the preferred host plants, this animal was found on an eastern redbud (Cercis canadensis). I hope these photos make it obvious why hunting these cats can become quite addictive.